JUNEAU — What do you do when you're a Democratic legislative aide and you look just like the Republican legislator under attack for claiming that rural women get pregnant so they can take state-paid trips to the city for an abortion? Nate Graham, 22, has the same florid face and red hair as Wasilla GOP Rep. David Eastman, 35. Both work at the Capitol, where Graham is an aide to Juneau Democratic Rep. Justin Parish. 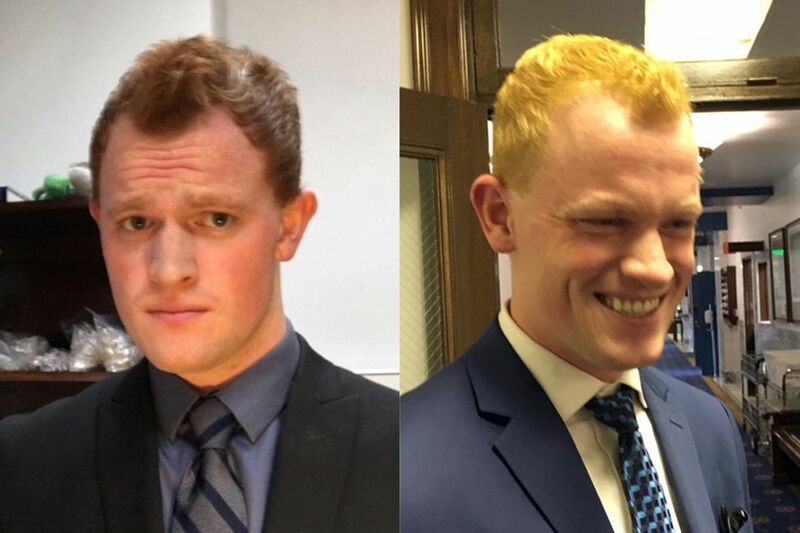 So on Saturday, after Eastman's comments made national news, Graham spent five hours trying to bleach the natural red out of his hair. "I definitely disagree with what he does," Graham said Tuesday, seated behind his desk in Parish's fourth-floor office. "And I don't want to be associated with him." Eastman didn't respond to an emailed request for comment Tuesday. He was in a meeting when a reporter stopped by his office. 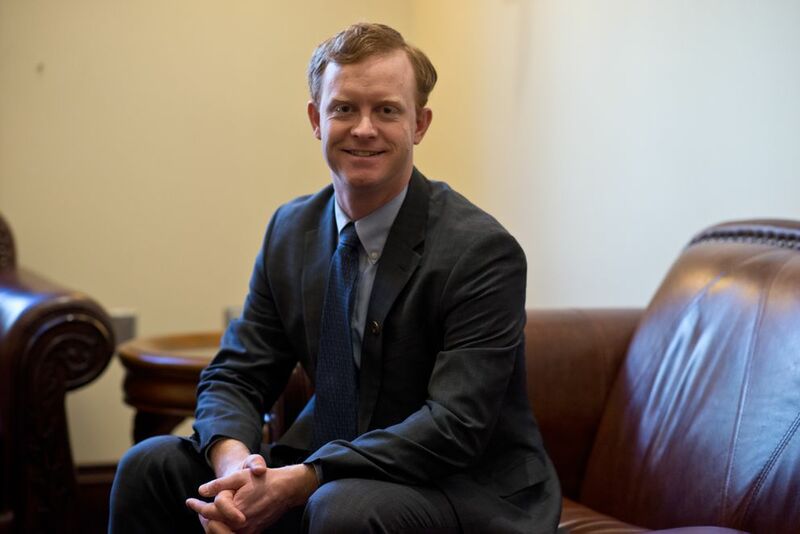 As an intern for Anchorage Democratic Sen. Bill Wielechowski earlier in the legislative session, Graham was occasionally confused for the freshman Republican lawmaker. Lobbyists tried to chat with him about policy; Wielechowski said he jokingly offered to supply Graham as an extra Democratic vote in the House, where the Democratic caucus has a slim, 22-18 majority. It was funny for a while, Graham said. But it started bothering him when Eastman took positions that political opponents derided as racist — like when he was the only vote against bills to honor Hmong and Lao veterans, and the African-American soldiers who worked on the Alaska Highway. Then, last Monday, Eastman amended an otherwise uncontroversial anti-sexual assault and child abuse resolution to say that "abortion is the ultimate form of child abuse." Afterward, he gave an interview to the Associated Press claiming that "we have folks who try to get pregnant in this state so that they can get a free trip to the city." As the controversy mushroomed, Graham fired off a joking tweet: "Time to dye my hair." But by the end of the week, Eastman wasn't backing down even after drawing bipartisan condemnation — so Graham decided to follow through. "It was a subtle protest I thought I could do that other people couldn't get away with," he said.